Some tips on how to reduce electricity consumption and costs. The authorities always reminding the consumer to conserve electricity especially during this summer But how do you reduce the consumption of electricity in order to reduce the bill ? According to Meralco when it comes to saving electricity , you should not just look at the class of appliances you used? but how many times you used it? in a mobile applications of Meralco , there is an appliances calculator , where you can calculate how much electricity you consume in each appliances used in your house ? For example , you choose a deskfan 10 inches in size which is a small fan , the wattage is 40 , you will use it within 7 days and turn iton the electric fan 10 hours in one day after that you place calculate and it will shows P122.08 that you will pay per month for an electric fan only. Now if you have five electric fan at home with equal sizes , the consumption is P732.48 for electric fan only. According to Meralco the appliances that most highly consume electricity are those appliances that provide heat and cold .The aircon is may consume 2,000 pesos per month, ref or chest freezer are also high consumable of electricity. Based on Meralco’s appliance calculator for 200 kilowatt per hour consumption , a small refrigerator or 7 cubic feet open in 24 hours will consume the equivalent of P880.00 per month . An 1 horse power air conditioned appliances which use 6 hours a day can consume of P862.00 per month or 5 pesos per hour. Washing machine does not consume to much power it will cost P2.50 per hour . A 21 inch TV will consume P128.00 per month if used every day for 6 hours , but if you let it plugged in all day even though you use it will consume another P18.00 a month . A rice cooker is left plugged in keep warm it will consume P42.00 per month . Computer desktop when turned 24 hours in screensaver it will consume the P269.00 per month while in sleep mode it will consume P27.00 pesos . The appliances with standby mode continues to consume electricity If ever just unplugged it especially if you leaving the house to prevent more consume in electricity. According to Meralco, we consumer is the one who knows best on saving electricity consumption,by adjusting our power usage per day. 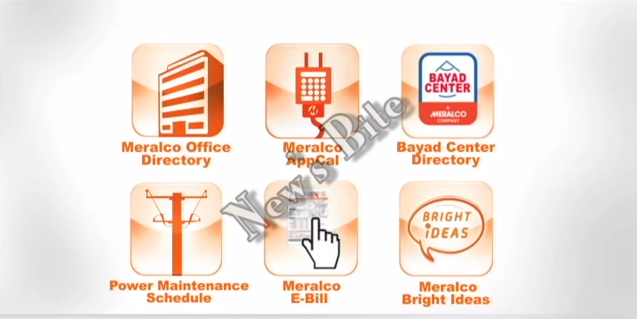 No Comment to " Meralco's Friendly Tips On Reducing Electricity Consumption and Costs "